BKJN is coming to Germany! 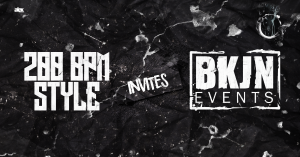 The legendary dutch brand joins forces together with 200 BPM STYLE and A.L.E.X. Events. Be prepared for the hardest Beats straight from the Netherlands! More info and line up will be announced soon.